COMPASSION: In 1991, Jane founded an organization called Roots and Shoots, which works with children and teenagers in over twenty-seven countries to help solve environmental, sustainability and humanitarian problems in their communities. 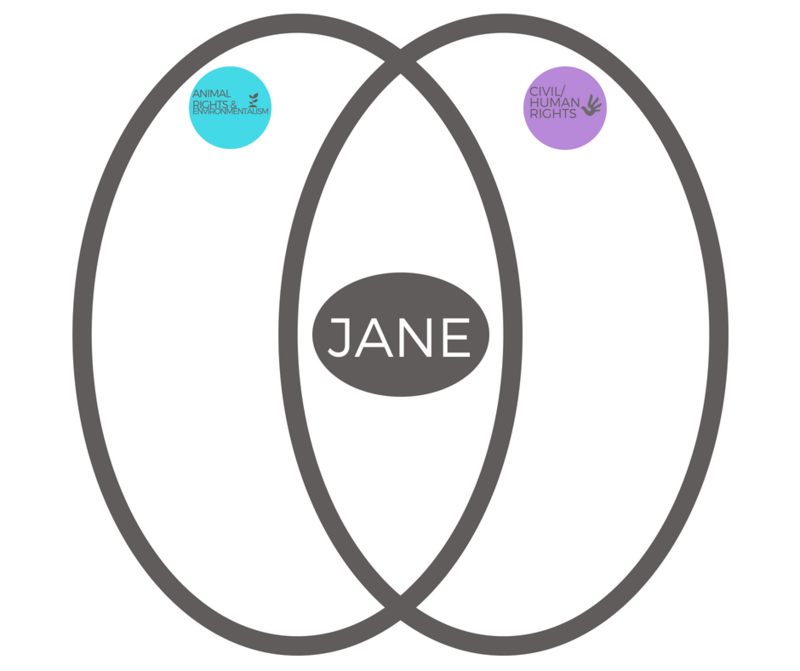 COLLABORATION: Jane serves on the board of the Nonhuman Rights Project, a nonprofit organization that helps animals gain access to legal rights to bodily safety. RESPECT: Jane advocates for the subjects that she studied. She believes in using her voice to speak up for the animals who can’t speak for themselves. CELEBRATION: A longtime writer, Jane has published several books for adults and children that share the knowledge she has discovered in her years of research. Jane Goodall was born in London, England in 1934 to a businessman father and a novelist mother. Her love of animals started at an early age. Once, she dug up worms from the yard and put them under her pillow. She considered them her friends, and she wanted to sleep with them! Her mother intervened, and Jane learned to let the worms live in their natural habitat. Before anyone knew that Jane would become the world’s most famous primatologist, or primate scientist, Jane received a stuffed chimpanzee as a gift from her father. She played with it instead of a teddy bear, which her family’s friends thought was rather unusual. When Jane was a young woman, she worked as a secretary, then a film production assistant. She was interested in animal behavior, but needed to find an opportunity that would help her access the field. She bravely phoned scientists and asked if she could assist with research. She soon found work helping a paleontologist and anthropologist name Louis Leakey, who studied fossils in Africa. Eventually, she gained permission to establish her own camp in Tanzania, where she would study the behavior of chimpanzees. Accompanied by her mother and an African cook, Jane arrived at the Gombe Stream Game Reserve in 1960. She was twenty-six years old. Jane had a lot to learn. Her first attempts at studying the chimps in the region were failures. The chimps fled when they saw a human, and they would not let her get closer than about five football fields’ distance away. But Jane was determined and patient. She tried to find the most non threatening way to introduce herself to the families of chimps that ate at the high grounds every morning. She calmly went to the feeding spot at the same time every day, and after two years, the chimps finally approached her in search of bananas. Instead of giving the chimpanzees numbers to keep track of her research, Jane gave them names. As an anthropologist, she saw each one as an individual. Eventually they let her into their social lives. She ate their foods, spent time in the trees with them, and stayed in nearly constant contact with for over 55 years! She learned through her unique research methods that chimps have very complex social behaviors. 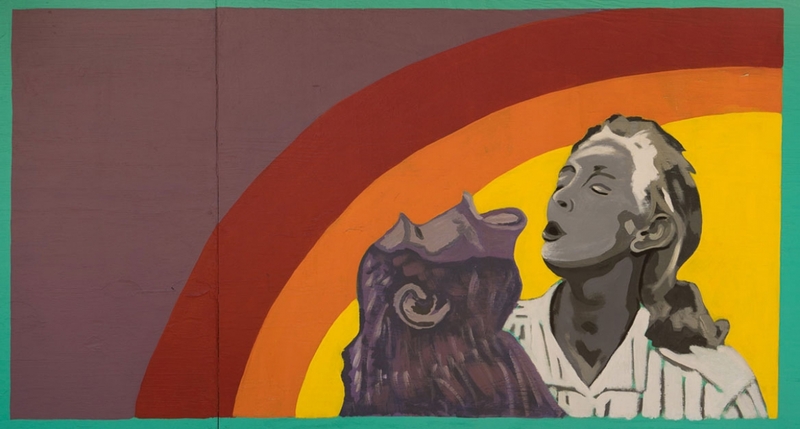 She learned that chimps use touch to comfort one another, throw stones as weapons, and even have a kind of language for communication. She also corrected a few misunderstandings about the animals that scientists before her made. She shared her research with the world. Her work was impressive enough that she earned a Ph.D from the University of Cambridge, a prestigious institution in England. It was not common for women to work as scientists at that time, but Jane didn’t let that stop her. Not only is Jane a scientist, but she is an advocate for the animals and conservation. Her research helped people understand animals behavior, and to this day she encourages people to treat them ethically, or with consideration and respect. Now, Jane is a mentor, an activist, and a teacher who shares the message of equal rights for all living beings, including animals. In 1977, she established the Goodall Institute for Wildlife Research, Education and Conservation. She also assists other young researchers doing field work in the Gombe Reserve. In 2002, Jane was named a Messenger of Peace by The United Nations, an international organization founded in 1945 to increase cooperation between the nations of the world. Objective: Students will discuss humans’ relationship to the natural world through evaluating different models. They will present their own understandings through group discussion and contextualize their understandings with historical influences. They will then consider how language is used to uphold cultural values, or challenge them. Finally, they will propose solutions that humanize a marginalized or undervalued member of their cultural ecosystem. Show students two different models of human and animal relationships. Which model do they feel is most prevalent in our culture? How do people’s actions prove this? Which model do you believe is better for the environment? Why? Jane Goodall was criticized in her early career for giving human characteristics to the animals she studied. In science (and in poetry, too) this is called anthropomorphism. Jane even named the subjects that she studied -some names she used were Fifi and David Greybeard- which was unheard of. Scientists thought that giving the chimpanzees names instead of numbers, would make her emotionally attached to the animals, and therefore unable to study them objectively. However, Jane’s unique methods set her apart from other researchers. She developed a close bond with the chimpanzees. She eventually became the only person ever to be accepted into chimpanzee society. [EXCERPT:] One by one, over the years, many words once used to describe human behaviour have crept into scientific accounts of nonhuman animal behaviour. When, in the early 1960s, I brazenly used such words as 'childhood', 'adolescence', 'motivation', 'excitement', and 'mood' I was much criticised. Even worse was my crime of suggesting that chimpanzees had 'personalities'. I was ascribing human characteristics to nonhuman animals and was thus guilty of that worst of ethological sins -anthropomorphism. Certainly anthropomorphism can be misleading, but it so happens that chimpanzees, our closest living relatives in the animal kingdom, do show many human characteristics. Which, in view of the fact that our DNA differs from theirs by only just over 1 per cent, is hardly surprising. Each chimpanzee has a unique personality and each has his or her own individual life history. We can speak of the history of a chimpanzee community, where major events - an epidemic, a kind of primitive 'war', a 'baby boom' — have marked the 'reigns' of the five top-ranking or alpha males we have known. And we find that individual chimpanzees can make a difference to the course of chimpanzee history, as is the case with humans. Next, show students an image of The Great Chain of Being. Explain to students that the concept of The Great Chain of Being has had a pervasive influence on Western thought. It started with Greek philosophers like Plato and Aristotle, who wanted to understand how to be “good.” Soon, hierarchies like The Great Chain of Being influenced the way people thought about the world. Ask students to share what they notice. Answers may include: There is a god at the top, trees are at the bottom, the chain is in a straight line, etc. How is the Great Chain of Being model different from the “Eco” Model from the warm up? Where in our culture do you see evidence of people believing they are higher along the chain than animals? Where in our culture do you see evidence of people treating animals as equals? Do you think this model still makes sense? Why or why not? Optional: In the remaining time, have students begin to sketch their own model based on what they believe their relationship is with the world around them. Search for examples of food webs, systems models, and ecosystem networks if they need to see examples. Play Javier Zamora reads “Second Attempt Crossing” for students two times. During the first playing, ask students to listen without any instructions or filters. Then, play the poem a second time and have students write down names and qualities that are given to or associated with “Chino,” who is the subject of the poem and an MS13 Gangster. How does the poet describe Chino? What characteristics does the speaker say that he has? Is it easy to believe the poet, even though you know that Chino is a member of a dangerous gang? How does the language we use keep people separate or at a distance? How does language help one another see them as more human? Divide students into groups of 3-4 and ask them to share their answers. For Homework: Have students read the Universal Declaration of the Rights of Mother Earth. Writing Assignment: Based on your beliefs, write the preamble to your own Universal Declaration of Rights for an animal, plant, or even a human that you feel is considered to be of lesser importance in our society. Explain in the preamble why you feel this member of society is undervalued, why they are important, and what action you are calling for to end this mistreatment.